SKU: YCA08. Categories: Tools & Equipment, Yard & Garden. 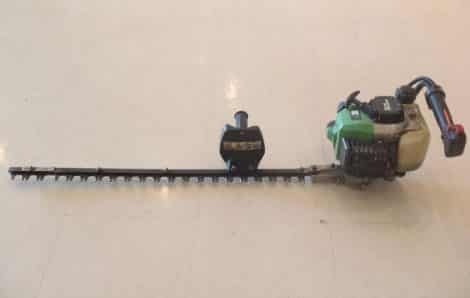 Tags: gas hedge trimmer, hedge pruner. This hedge trimmer will trim branches up to about the diameter of your pinky. Anything larger than that requires the use of a chain saw. Hedge trimmers must be used on flat ground only (not up in trees or ladders) and are not to be used on dirt. All of our gas driven equipment comes to you full of gas, does not need to be refilled before return, and has an additional fuel surcharge added to the bill of $3.50. The user of this item must come in to receive full use and safety instructions. This item is only available during our open hours. No overnight rentals on this item due to insurance liability.